The All India Muslim Personal Law Board (AIMPLB), 3 September, said that the system of triple-talaq cannot be changed. The board rejected suggestions for including the mandatory three-month period before finalising the divorce. Though as per Quran and Hadith, "triple talaq" is a crime, once said, the process would be considered complete and cannot be changed, AIMPLB Spokesman Maulana Abdul Raheem Qureshi told PTI. He said that through news reports he has come to know that the All India Sunni Ulema Council had written a letter to the Board along with Deobandi and Barelvi sects that if there was any scope in Islamic law then "talaq" said by a person thrice in one go, should be considered as said only once. "Though the AIMBLP has not received any such letter as yet, we do not agree with the suggestion.We have nothing to do with what happens in other Islamic countries. We do not look into what is happening in Pakistan, Bangladesh, Iran, Sudan and other countries. What we follow is what the Quran Sharif, Hadith and Sunnat has said," he added. The spokesman said though saying talaq thrice in one go was not considered good in Islam, the process is considered to be complete. "There is no scope of change in the system," he said. Qureshi said last week the AIMPLB had sent a questionnaire to Ulemas across the country in which it was asked whether any penalty could be imposed on a person giving triple talaq or not. "But the religious leaders of Hanafi, Shaafai, Maliki and Hambli sects decided that once uttered thrice, talaq will be considered complete," he said. "A girl leaves her parents house for once and all after marriage and lives with her husband all through her life. In between if husband says talaq thrice in a fit of anger, her life is torn into pieces," he observed. 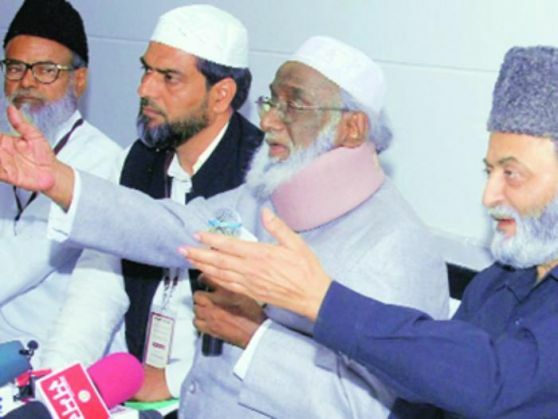 Maintaining that the practice of triple talaq was causing immense problems in Muslim society, a body of clerics had written to the AIMPLB and Islamic scholars to build consensus on making a three-month period mandatory before finalisation of divorce.